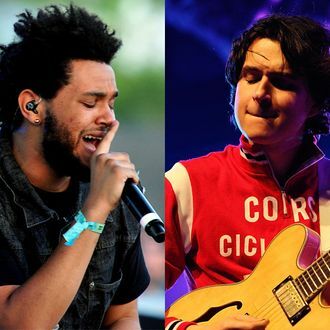 Both the Weeknd and Vampire Weekend have announced plans to release new albums this year. The Weeknd, who released three critically acclaimed mixtapes in 2011, made the announcement via a tweet that shows a folder for “2013 untitled album” on his desktop. Vampire Weekend, whose last record was 2010’s Contra, told Q Magazine they’re intending on releasing an album this spring, which will be co-produced by Ariel Rechtshald (co-producer of Sky Ferreira’s “Everything Is Embarrassing,” co-writer of Usher’s “Climax”). So, whether you like your weekends sad and Canadian or vaguely African and preppy, 2013 will be your year.